New Jersey authorities announced today that a temporary ban on so-called synthetic marijuana has been made permanent, placing the designer drug in the same legal category as cocaine and heroin. 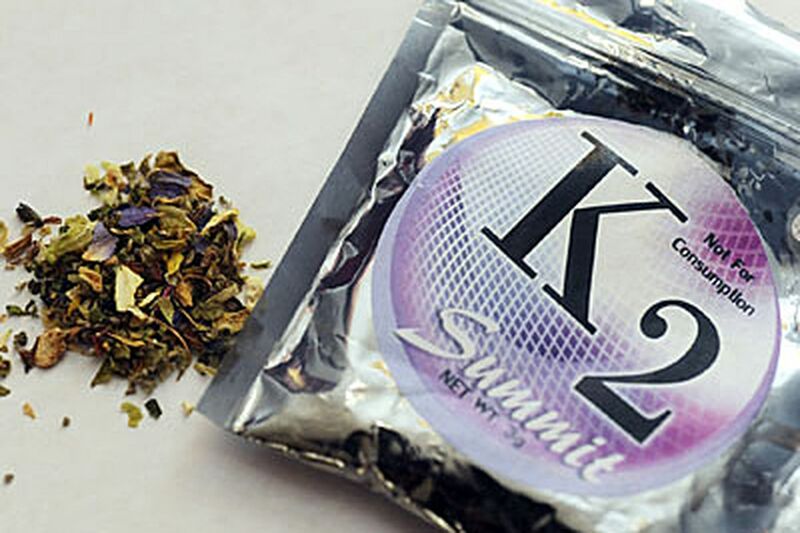 In February, the state Division of Consumer Affairs initially banned the drug - marketed as herbal incense under the brand names K2, Spice, and Kush, among others - for a 270-day period pending public input. Until then it was sold in the Garden State at convenience stores, gas stations, and shops selling smoking paraphernalia. Originally the psychoactive drug, known as JWH-018, was created to study the effects of cannabinoids on the brain. It was relatively easy to synthesize in laboratories. Although its inventor condemned the use of it as a recreational drug, his warnings didn't stop dozens of labs from springing up globally to market the material. In recent years it became the third most abused drug by high school seniors after prescription pills and authentic cannabis. Synthetic marijuana has been linked to dangerous side effects, including violent seizures, dangerously elevated heart rates, anxiety attacks, and hallucinations, according to the U.S. Drug Enforcement Administration. Some reports have linked the use of the designer drug to suicide and panic attacks that have ended in fatal accidents. "These synthetic poisons, once offered as a so-called 'legal high' by shady retailers, are now permanently off the market in New Jersey - and the numbers indicate our ongoing ban has led to a decline in their reported use," said Attorney General Jeffrey S. Chiesa. "These drugs have grown in popularity nationwide, despite their alarming and catastrophic side effects. Today they are permanently on record as being just as illegal as cocaine or heroin," Chiesa said. The ban lists synthetic marijuana now as a Schedule 1 Controlled Dangerous Substance. Manufacturing, distributing, selling, or possessing the chemical may earn the violator a fine of up to $25,000 and a 3- to 5-year prison term. Contact Sam Wood at 215-854-2796, @samwoodiii or samwood@phillynews.com.